Current cameras' sensors are getting better year after year. Unfortunately, they cannot create noise-free images at high ISO just yet. I am sure the day will come soon, but in the meantime, there is a very simple technique using Adobe Photoshop or Affinity Photo to create the illusion of a clean file. 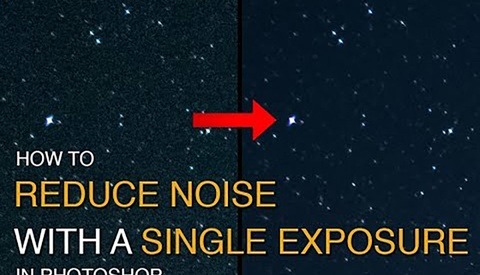 Noise is very common at high ISO or when shooting a long exposure. While for some photography genres, it might not be that big of a deal, for others, it can quickly turn an image into an unusable file. Reading forums and discussion groups on the web, I see a lot of landscape and astrophotographers looking for the best solution to remove noise and create stunning, clean files. 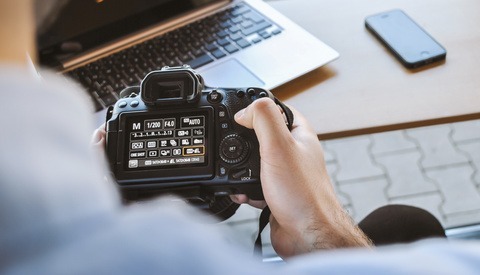 Those two genres are actually perfect for the technique presented in the above and below videos, as you can shoot on a tripod and not much should be moving in front of your lens. The method is very similar to the one videographers use to remove people from timelapses. They take multiple shots of a scene, keep only the parts of each file where there isn't anyone, and then stack all the files together to recreate a scene without anyone walking across the frame. You can use a very similar concept for removing noise. Better yet, you can let Photoshop or Affinity Photo do the work. Auto-align and smart objects (Photoshop) or stacks (Affinity Photo) will do everything for you in a matter of seconds. I discovered this after I encountered a couple of issues with files shot with a 5DS R that showed a lot of noise in the shadows after raw processing, even though they were shot below ISO 400 and were not long exposures. It turned out this technique worked perfectly, and I could clean most areas of my images that needed a bit of work. I also tried both versions of the method – meaning once with Adobe Photoshop and once with Affinity Photo – on the same file. It turns out Affinity Photo stacking and auto-alignment tools are much faster! The results were very similar, however; I couldn't tell a real difference between the two final images. I read an article on this technique a few years back. It is a powerful technique that has multiple uses. Cameras still have noise at their base ISO and shooting a stack of 4 shots can be used to get a much cleaner image even at ISO 160 or whatever the REAL base ISO of your camera is (most DSLRs it's around 160 - 200 ISO). It's useful also for cellphone shots. the noise performance on my Galaxy note 4 good for a cellphone but it's still a cellphone. The camera is also capable of ridiculously fast and long bursts (30 shots in about 3 seconds or 10 FPS) in decent light. I remember reading, and I may be wrong, that for many cameras the real base ISO is anywhere between 100 and 200 and that for MANY cameras 160 was the REAL base ISO. In the end it's all academic and has no real impact on this article. There is still noise at even ISO 100 and staking can clean that noise up a bit. 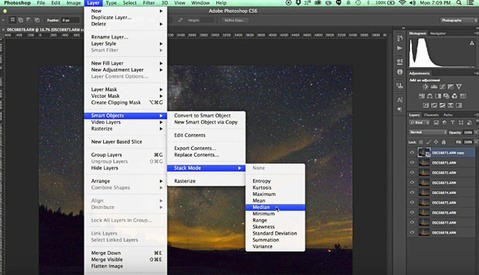 Great tutorial on post processing of astrophotography! Photographing the Milky Way is on my bucket list of photography items. sorry NOISE FREE... are you kidding? Also worth pointing out that for general stacking (for those who don't have photoshop) there are dedicated freeware star stacking programs available, such as StarStax and DeepSkyStacker. I did a high ISO experiment last night for fun and shot 8 shots at H2 (25,600) on my 5DMk2 and after stacking those 8 images I had recovered tons of fine detail even at 200%. The image looked as clean as ISO 800.